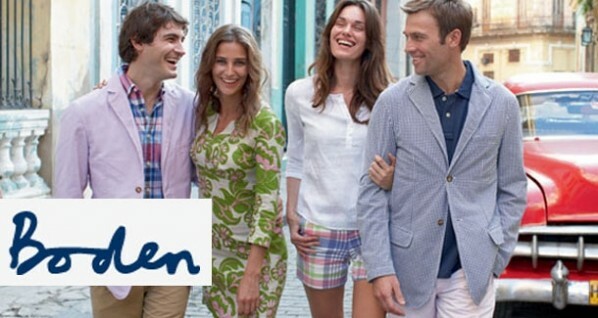 Boden is a fashion retailer that began in 1991 with just a handful of men’s wear products, and as such we are extremely happy to add them to NHS Discount offers! As it grew in popularity it launched its women’s wear range and later a line for kids too and now it can claim to have a presence throughout Europe and the US. The company is known for providing high quality products in a classic style. From the likes of traditional and comfortable knitwear to skinny jeans and blazers, Boden have a wide range that is guaranteed to keep your whole family looking trendy and cool. One of the most notable features of their store is the hemming service for their trousers and jeans; this ensures that you never have to be content with rolling up your trousers or settling with jeans that rest on the wrong places! They are also proud to have a team committed to ethical trade, ensuring that all the business they do with both suppliers and customers is held to a high standard of ethical conduct. A great feature of their website that a lot of people love is the virtual outfit maker! This allows you to try on the potential outfit you come up with on a virtual model. You no longer have to wait till you have bought an outfit to see if it works and it is an incredibly convenient tool that more sites should utilise. The site also has a clearance section to keep you up to date with their latest deals and discounts, ensuring that you are always getting great value for money. As well as their existing deals there are also a host of promotional offers and discounts that you can use to make additional savings on your purchases, so be sure to give us a look before you check them out.